Harmar’s AL625HD combines the simplicity of a drive-on/drive-off platform with all the benefits of carrying your mobility device inside a vehicle. 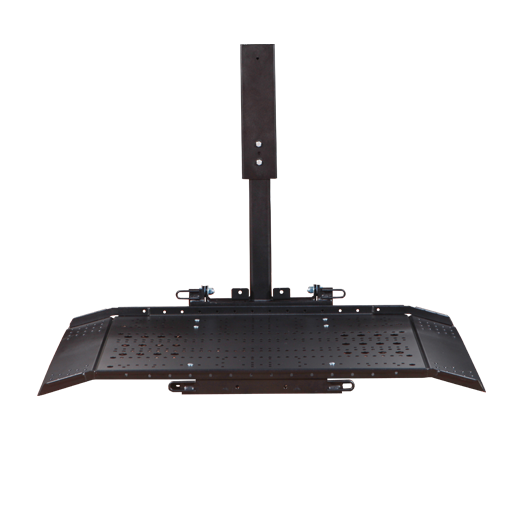 With only 45” of depth and 37.25” of headroom required, this is the most compact hybrid lift on the market. Though compact, it still manages to offer the largest travel distance in its class, making this lift compatible with most enclosed vehicles, including SUVs! Installation utilizes existing seat mounts, requiring no drilling or further vehicle modifications. To top it all off, the incredibly compact design allows the second row seating to remain in place!